Happy Monday friends! I hope you all had a lovely weekend and weather as wonderful as it was in the DC area. Fall is in full force and that means booties are too. I have a few go-to booties that I absolutely love. They are just as stylish as they are durable and these booties are all from the same brand. Coincidence?! I don’t think so! My Dolce Vita booties all have a nice, classic look, so I’m able to pair them with so many different looks. I have a suede, wedge lace-up pair in black and another pair of wedge booties in a taupe/grey color. Like the lace-up booties pictured below, the black ones are perfect for a night out and a more edgy look. Similar to the taupe pair on the far right below, my taupe/grey wedge booties the perfect color and look for a more casual look. They truly go with everything. The most recent pair I got is a black ankle bootie with a very small heel (similar style here). These are so comfortable! These black leather beauties can be worn with work pants for a business causal look and with a suede skirt or jeans for a more fun look. This bootie brand has such simple, classic styles, especially if you are looking for shoe without extra frills and bling. Dolce Vita’s booties will last you for years because they incorporate a timeless style in a durable, well made product. You’d never know that I have had these booties for multiple years. Even better news is Nordstrom has a lot of Dolce Vita boots and booties on sale now. I have my eyes on the western looking pair on the far left above. I’d love to hear if there is a brand of boots or booties that is your go-to brand. Is there a certain style or brand you love wearing these days? Here’s to a great week. Cheers! Surely I am not the only girl who feels tempted to skip washing her face after a long day. It would be so nice to just hop in bed, right?! Please tell me I’m not the only one who has these thoughts. Now, I won’t even going to try to convince you that I wash my face every single night. But, I will share with you the best way to wash your face if you feel lazy at night like I do. My quick and lazy secret to keep skin clean lies with Clarisonic’s Facial Cleansing Brushes. These devices are just as convenient as they are effective. The electronic, vibrating brush head is what makes Clarisonic’s skin cleansing products so effective. It brushes away dirt and dead skin, leaving your skin feeling smooth and looking clear. My mom gave me Clarisonic’s Mia Facial Cleansing Brush last Christmas and I have been using it consistently ever since. 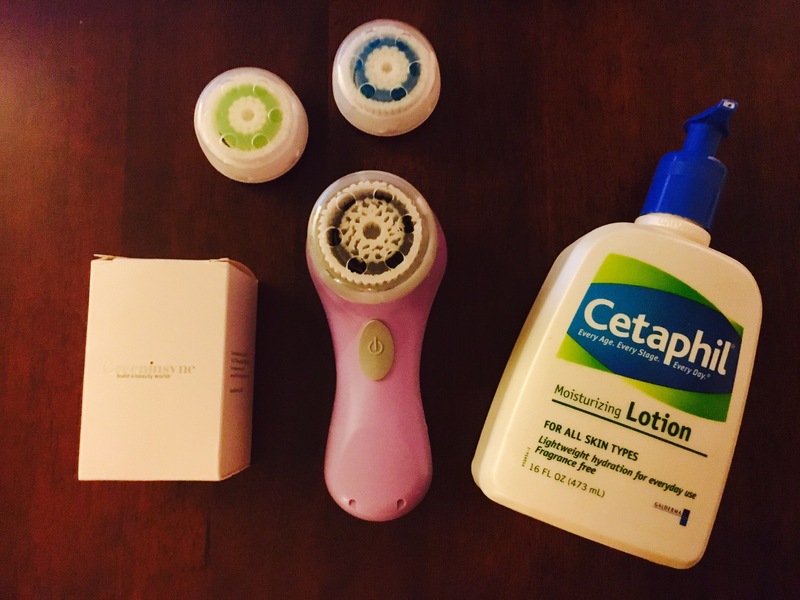 The great thing about Clarisonic’s cleansing products is how fast they are. With one push of a button the brush vibrates for 60 seconds as you move it around your face. It is really the perfect low-maintenance method! The kit I got came with a Clarisonic cleanser to apply on the brush head. However, I have found Cetaphil’s Gentle Skin Cleanser works just as well. I used to use off-brand brush heads because the Clarisonic system ones are pretty expensive. But, it looks like those have disappeared from Amazon, at least for now. Anyway, two Clarisonic brush heads retail for $44, or one for $27. You should replace the brush heads every three to four months, based on how often you use them . I would say the recurring cost of the brush heads is the biggest con for this product. 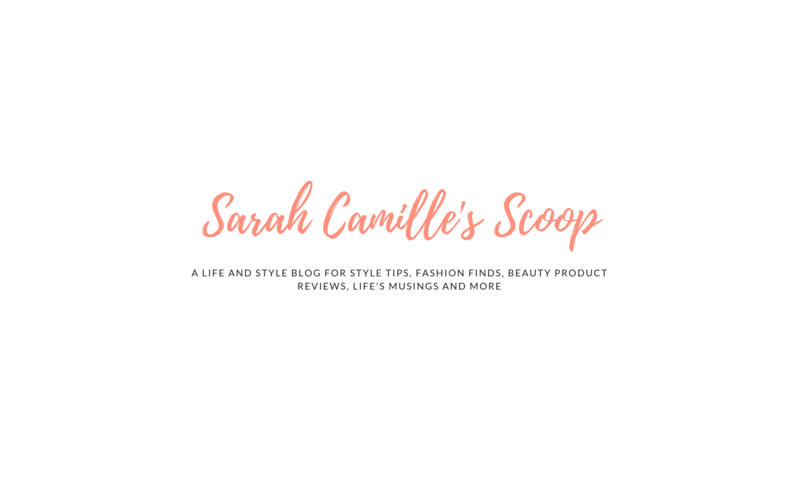 When it comes to how often you use the Clarisonic brush, my advice is to use it a couple times each week. Because the product gives such a deep clean it can dry out your skin if you use it everday. I prefer to use the cleansing brush for those nights when your bed is calling you and you don’t want to spend more than one minute washing your face. It is such an easy way keep your skin clean when you’re feeling lazy! Do you have any similar skin cleaning routines that are perfect for a lazy day? What is a quick way you keep skin clean each day? I would love to hear all about them. If you have tried or use the Clarisonic cleansing brush, let me know how you like it, too.